I have a son, Solomon, who’s six years old. He started first grade yesterday. 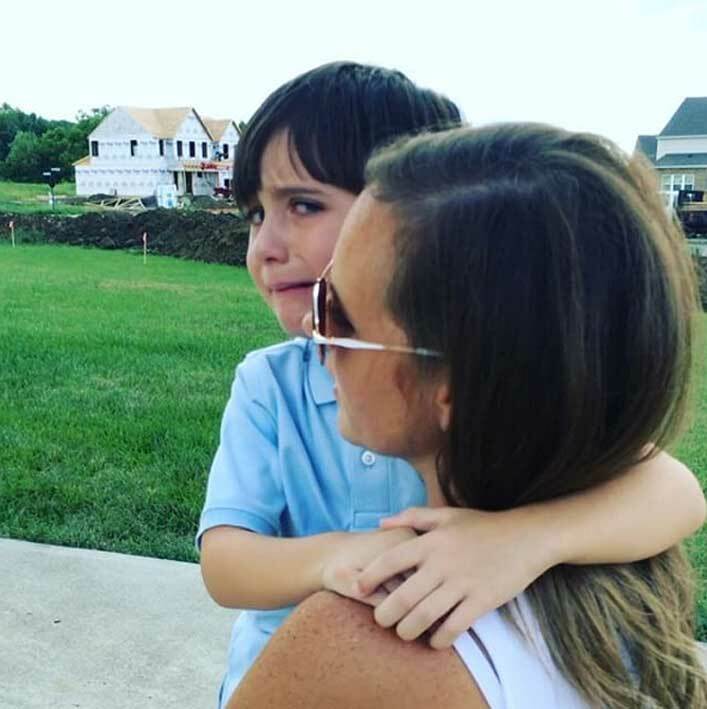 When he came home, he saw his mommy waiting at the bus stop and burst into tears. It must’ve just hit him that he was apart from her all day and just seeing her, standing on the curb on a muggy Ohio afternoon, was enough to break his heart. I’m guessing he felt the pain of his mother’s absence from the entire day. In that brief moment it all caught up to him at once. It was a tender exchange. I know it’s a privilege for us to send our son to school and not fear for his safety. It’s a privilege to tuck him in at night and not worry about what will happen to him in the dark hours. And it’s a privilege to scoop him up when he comes off the bus, in tears. There’s a viral image going around the web of a Syrian boy who survived an airstrike on his apartment in Aleppo. 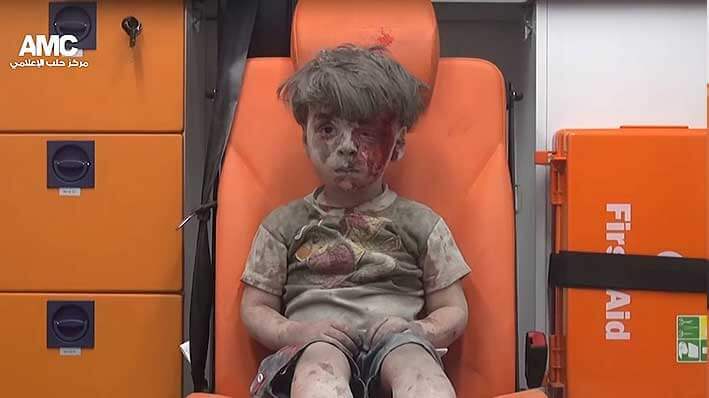 His name is Omran Daqneesh and he’s five years old, roughly the same age as my son. I tried to watch the actual video footage (below) but it was so difficult it drove me to tears. I kept seeing my son, Solomon, in that seat and I couldn’t handle it. The fidgeting. The shock. The looking at the blood on his hands and wiping it on the orange vinyl seat. The dazed look as his mind tried to figure out why he was sitting in this strange vehicle, why he was covered in dirt and blood. And that’s when it hit me again. Just because it’s not happening here, doesn’t mean it’s not happening. As a parent, I can’t imagine the horror of trying to keep my kids safe in a war-torn country like Syria, but that’s the reality so many parents face every day and every night. When I watched the video, I heard a whisper, saying, “Don’t look away. Don’t look away.” I believe it was God’s whisper–telling me to look deeply at the plight of children like Orman. I can’t afford to pretend like his pain doesn’t exist–just because it’s far away. As a Christian, I’m not given that luxury. I’m called to mourn with those who mourn and weep with those who weep. More than 470,000 people have been killed in Syria since an uprising against President Bashar al-Assad erupted in March 2011. According to World Vision, there are 4.8 million Syrian refugees, and 6.5 million are displaced within Syria; half of those affected are children. It’s hard to know what to do, I know, I get it. I don’t have all the answers, but I know one thing we can’t do–and that’s ignore the problem or pretend it doesn’t exist. Pray, cry, mourn and feel something deep for the people of Syria. I think that’s what Jesus would do.